Having classic pieces in your wardrobe is very important and they are essential for every fashionista for everyday style and panache! One of the essential pieces is a day bag that matches most casual and slightly dressed up outfits. 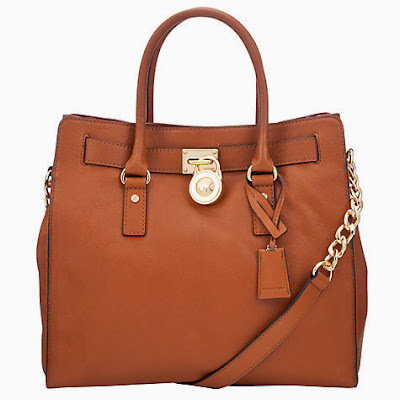 Recently my everyday essential has been this Michael Kors brown Hamilton tote. It is perfect on many levels, matches most of winter outfits and I am really addicted to it. It's very large and you can even pack an evening outfit there-rolled up dress and light evening heels and an evening clutch bag/ wallet in case you need to be out and about from dawn till dusk. Surprisingly it gets a lot of looks and comments. It is quite glamorous with golden chain and hardware. I am officially a Michael Kors addict. You can buy it in Harrods, MK stores and even John Lewis. My preference in brown/tan but it comes in many different colours including black. oh wow. this is a pretty bag!